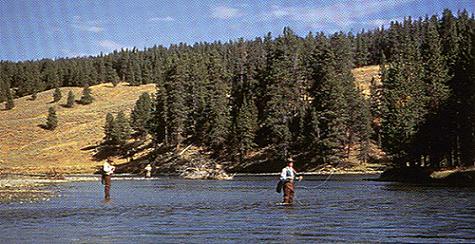 Fly Angler's OnLine "Yellowstone Bound Part 3 - RESERVATION LINKS!!" Reservation Links for Yellowstone Country! For the park itself, this listing has hotels and all campgrounds in the park. www.travelyellowstone.com/ . The Livingston MT Chamber of Commerce member listing for lodging. Be sure to check out the other regional information too. Closer to the park, just outside the North Gate, Gardiner offers a wide variety of accommodations. For lodging in one of the Parks, nine facilities, ranging from rustic to the historic and updated Old Faithful Lodge, check out the link or call 307-344-7311.